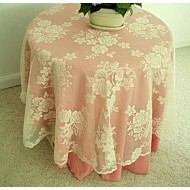 Rose Bouquet 70 inch (178cm) round ivory tablecloth. 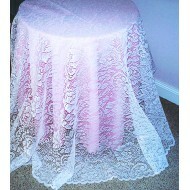 Will add elegance and romance to your table. 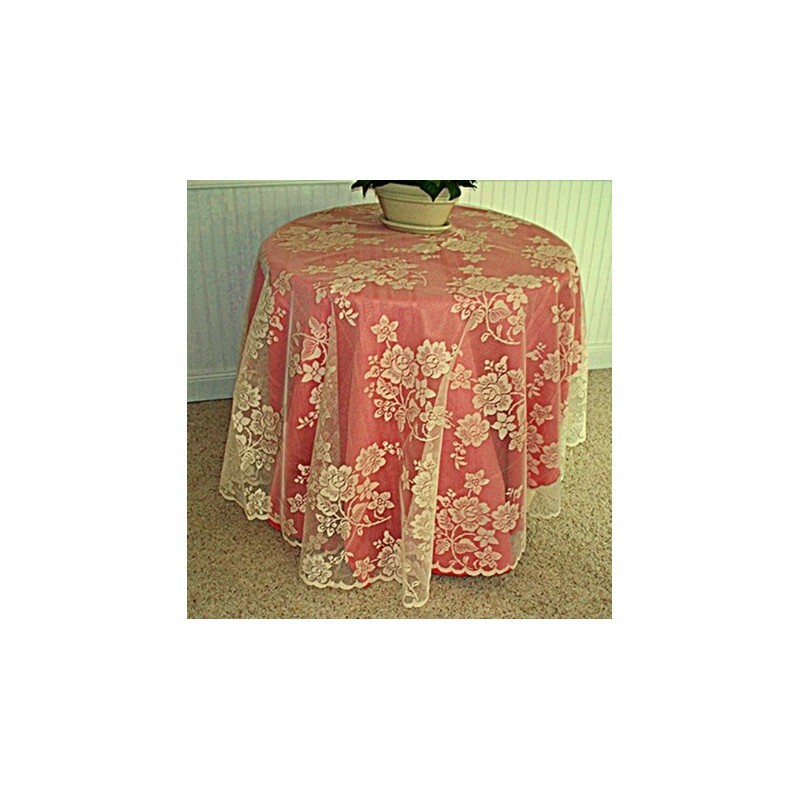 Size of 70 inches(178cm)round, this will fit a round table size of 46 inches (116.84cm)round up to a 58 inch(147.32cm)round. 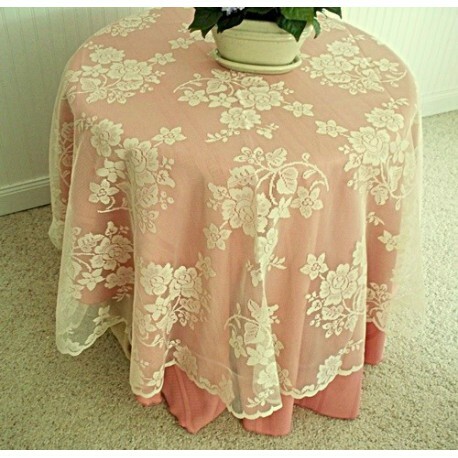 Made of 100% wrinkle free Polyester. 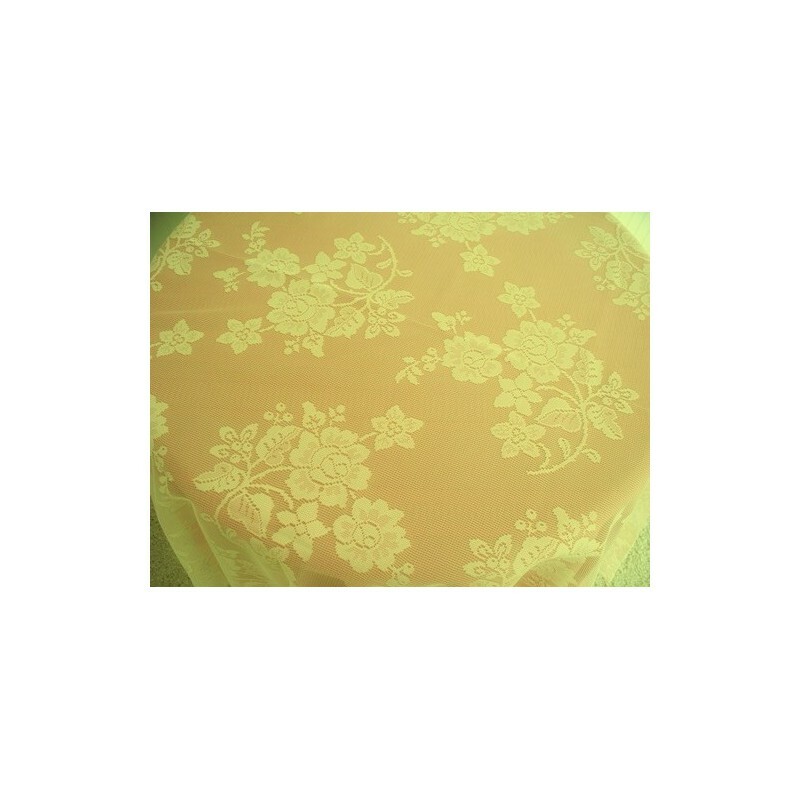 Machine wash in cold water with mild soap on gentle cycle. 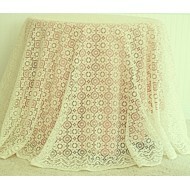 Tumble dry (no heat, air fluff, gentle cycle for best results). 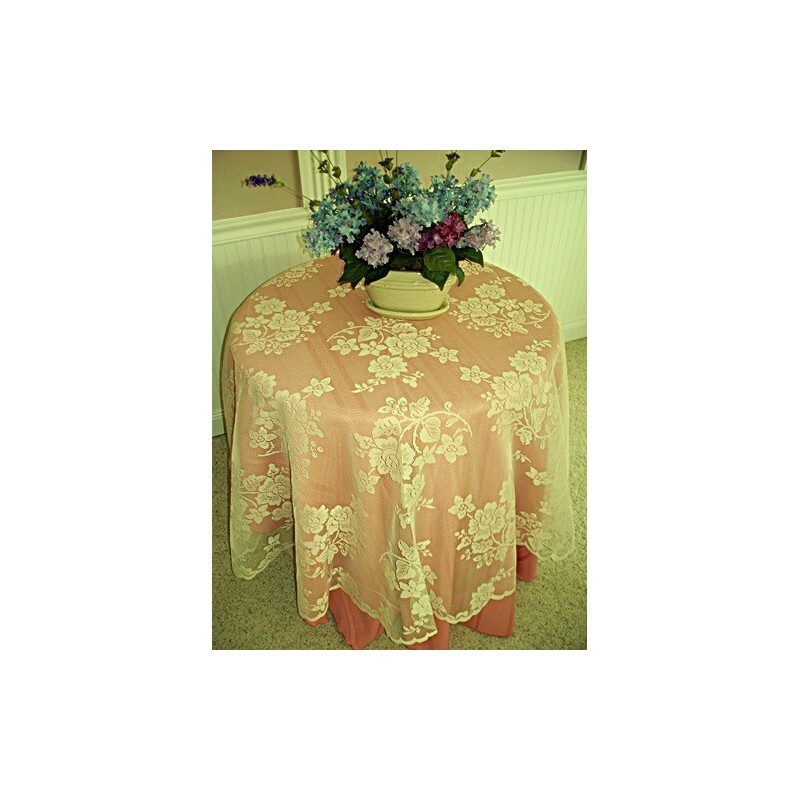 Beautifully crafted by Oxford House, the tablecloth is beautifully done with rose stem clusters. 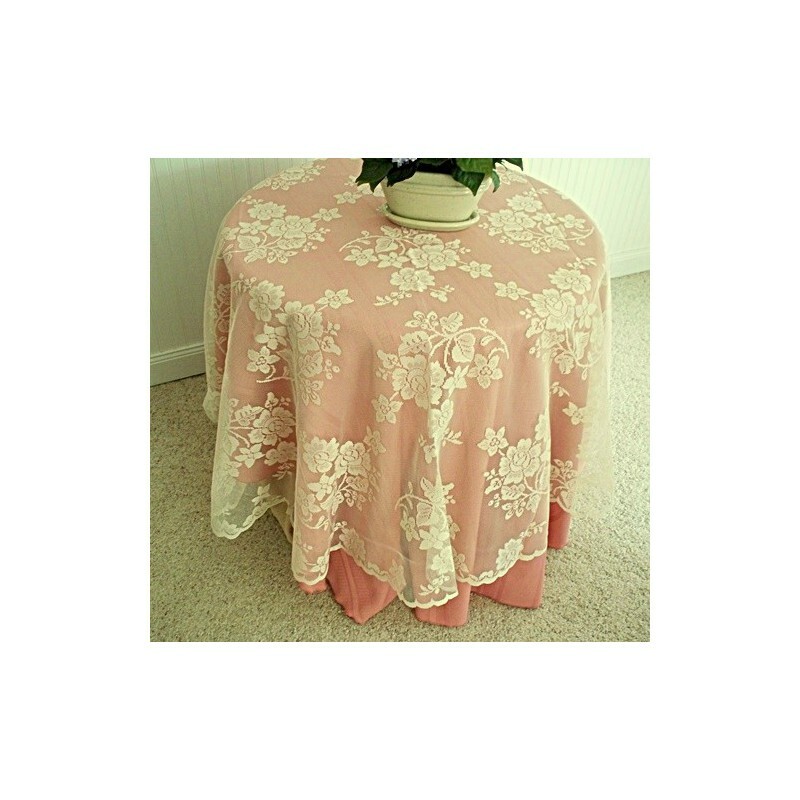 The edge of the tablecloth is scalloped Will look so elegant with victorian home decor and an excellent pattern for weddings.